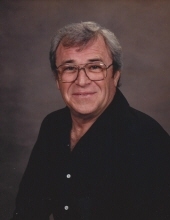 Chester Allen, age 81, of Somerset, Kentucky, passed away on Wednesday, November 14, 2018 at his residence. Chester was born on March 28, 1937 in Oneida, KY to the late Woodrow Allen and Flora Johnson Allen. He is survived by his loving wife of 30 years, Arlene Hensley Allen, whom he married on November 5,1988 in Clay County KY; three sons, David (Charlene) Allen of London, KY, Kenneth "Sweets" (Vickie) Allen of Manchester, KY, and Ted (Kay) Wilson of London, KY; 2 daughters, Flora Jean Geill of Elizabethtown, KY, and Diane (Patrick) Brock of Corbin, KY; one sister, Lela (James) Combs of Oneida, KY; four brothers, Eugene (Jane) of Brownstown, IN, Merit "Buck" (Nina) of London, KY, Donald Wayne (Lillian) of Somerset, KY, and Wayne of Oneida, KY; 11 grandchildren, Michael Allen, Elizabeth Henson, Kendra White, Madelyn Brock, Nolan Brock, Garrick Wilson, William Crihfield, Cassandra Bowling, Jamie Stieve, Jennifer Parks, and Samantha Murphy; 11 great grandchildren, one great-great granddaughter and a host of nieces, nephews, neighbors, friends, and other loved ones who will miss him dearly. Our loss is heaven's gain. He was preceded in death by his parents and 3 brothers, Ernest Allen, J.T. Allen and Oakley Foreman. Chester was a master auto body technician and instructor who enjoyed showing his antique cars at the Somernites Cruise and the Clay County Cruise. He contributed greatly to the Shopville-Stab Volunteer Fire Department in Pulaski County and Pongo Volunteer Fire Department in Rockcastle County. Chester loved cars and fishing, but most of all he loved his Lord and Savior Jesus Christ. He was saved in March of 1979 and baptized in Goose Creek in Clay County KY. Chester was a member of the Chimney Rock Baptist Church in Somerset, KY and also of the "Good Old Boys Breakfast Club". Services will be held at 11:00 AM on Friday, November 16th at Britton Funeral Home in Manchester, KY, with Aaron Roberts and David Hawk officiating. Burial will follow at the Irvin Hill Cemetery in Oneida. Visitation will be held 6:00 PM Thursday, November 15th at Britton Funeral Home in Manchester, KY.
To send flowers or a remembrance gift to the family of Chester Allen, please visit our Tribute Store. "Email Address" would like to share the life celebration of Chester Allen. Click on the "link" to go to share a favorite memory or leave a condolence message for the family.